Went for shopping for 8 hours o.o with my friend this week…. I don’t remember the last time that happened holy crap. I’ve been in full swing this week with lots of blogging, youtube things, it’s all building up for me so next week might be slow with posts. Wednesday March’s favourites will be out and not sure what else I’ll write about at the moment, possibly start my free review. I do have an important announcement for you guys this Sunday 2nd April at 9pm Central Time with Naja and Kat fellow members from the group OWLS. We will be having a end of the month livestream going over our March Blog Tour on the theme Sanctuary, this will be over on Kat’s Youtube. Right… who are the features for this week LET’S FIND OUT !! Been a while since I featured a group of bloggers together. 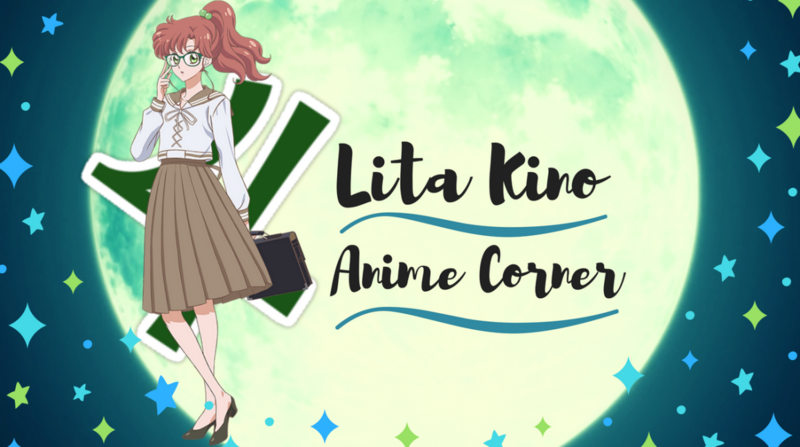 This week’s Blogger Features goes to A group I’ve been following since the beginning Anime Corps . Nick, Deven, Andrew, Marshy and Tsuyuki are the people behind this fantastic blog. The content they cover are reviews, seasonal impressions, personal pieces and my favourite segment I love to read their Anime Editorials. Each blogger brings something different to this group and hence the variety is well balanced with listening to each other’s opinions. Highly I recommend following their editorials, time and time again I’ve been inspired for post ideas, though they didn’t know that haha now you do. Two favourite pieces by them are Stop Complaining And Enjoy by Normalising Anime. Make sure to check out these amazing guys and this Saturday 1st April is their Q & A anniversary to make sure to check that out !!! Don’t you love it when you discover a series you have never heard of before? Yukino Cake from The Only Shinyuu Site keeps bringing up all these brilliant older series reviews lately I have noticed, keeps inspiring me. I really enjoyed their review on a Fancy Lala something I have never heard of before, they describe the show as a deconstruction of magical girl shows. From the way they describe this show, sounds like a enjoyable watch. Go and check out their review and older series reviews. !!! I hear Anime Strike is not all it’s cracked up to be, Mark From HybridMedia writes about in his discussion revealing that if you want to use anime strike you have to have amazon prime. Which is something I didn’t even know this is a very informant post for those who may not this and use either streaming services. Big bobo amazon made, make sure to give this informative post a read. This is a short post but was crisp and clear with their point on why Falconhaxx really ended up liking this series. I myself have wanted to see this series for a long time and in his series of “Going Down The List” seems to highlight all the points of why should give each show a chance. so make sure to check out this short, short post . Can you remember the first time you watched some of your favourite anime’s? Thoughts That Move wrote a discussion piece of how important it is to appreciate the emotional impact a show makes on you. They describe we can pick apart at a series such as sword art online, but those whom this series as their first anime watch. Who are we to critique people’s choices and values in what they enjoy. I really enjoyed this piece and make sure to give it a read !! I’ve not had much time this week to read people’s post so forgive me for not featuring more. Next “This Looks Average” Has This Been You? Thanks for featuring Anime Corps! Glad to hear you enjoy our posts there! Thought provoking links as always. I hope someday to write something worthy of being linked! Thanks for sharing some great links to some great posts. I look forward to the livestream! Thank you for the feature, Lita! Still thanks for the shout out, and for the shout of the the Anniversary post. We should probably update the About Page. OOOh these all look like great features!! I’m definitely going to check them all out!! Great job on the livestream, ladies! And great selection of posts and links here, Lita.